Techcoderx and myself both work to operate and maintain an IPFS/discord bot. In this guide I'd like to go over the basics of setting up the bot on a server or home computer. I've ran the bot on devices as small as an Android phone with specs as low as 2gb ram. Minimum requirements are dual core and 2GB of ram. 3.Edit the auth.json file and add the discord token , you can find out how to create a discord application here. The action to find your token is shown at 0:33. 4.Edit the config file to the specifications you need. 5.Install required libraries, nodejs, ipfs, and pm2. 6.Modify the config file to use a higher port. 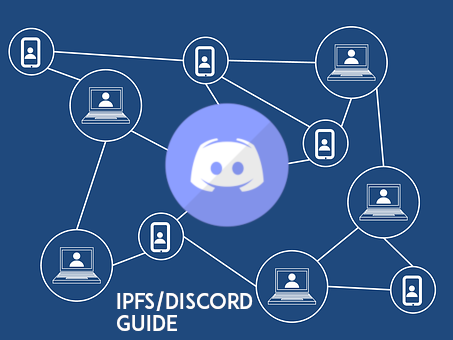 pm2 start "ipfs daemon --enable-gc"
pm2 stop "ipfs daemon --enable-gc"
If you are stuck looking for the client ID, you can find it on the discord website's developer panel. That’s what the staples or office Max is for, walk in sit down. thanks for the tutorial. i'm doing something similar.